About a hundred and fifty people gathered Wednesday at the Gula Club in Petah Tikvah for a discussion on various matters touching on the vision of applying Israeli sovereignty over Judea and Samaria. MK Bezalel Smotrich, economist Dr. Eran Bar Tal and Yesha Council chief Hananel Durani all spoke at the conference, which was organized by the Sovereignty Movement, founded by Women in Green. Arutz Sheva Journalist Yoni Kempinski was the moderator for the conference and Adam Tzahi provided musical entertainment. In light of the policy discussion around the issue of the vision of sovereignty, which has been gaining momentum as the policy outlined by the Right, the conference attracted a significant amount of attention, to the extent that a group led by Peace Now even came, in a failed attempt to create a disturbance during the event. Yehudit Katsover and Nadia Matar, heads of the Sovereignty Movement, opened the event, telling a bit of each of the two women’s personal history and about the vision that they are promoting, the vision that was born after the uprooting of Gush Katif and the understanding that comprehensive action was called for, that would thwart the possibility of any additional expulsion. The two women mentioned the importance of sovereignty as creating a stable security situation against terror, significant economic advantages, maintaining environmental quality and even right for citizens and minorities. Likewise, the matter of international law was discussed in a nutshell, and the proof that is based on international documents stating that Judea and Samaria were intended as a basis for the Jewish people’s national homeland. Following the opening address, newly-minted Yesha Council chief Hananel Durani took the floor, with the question of how to turn the vision in a practical reality, adding that such a change is not only possible, but essential. Durani explained the legal situation in Judea and Samaria today, a situation where Israeli law does not automatically apply in the area, but is subject to the decision of the governing power in the area, meaning the General of the Command, and sometimes his decisions are delayed for years. “Except for the obligations such as traffic laws, taxation, military service and so forth, no law applies to us without the General’s signature. We abide by these laws, but we do not have the rights that we deserve as citizens”. 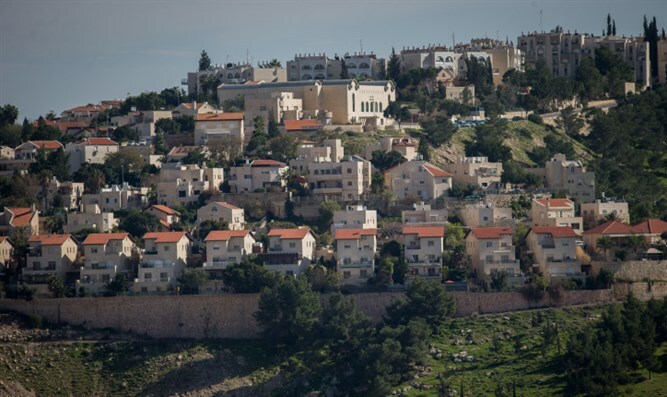 He also mentioned the draconian regulations that led to the demolition of homes, such as the Amona and Nativ Ha'avot cases, decisions that would not have been made in a sovereign State of Israel. There, instead of destruction, the legal response would be monetary compensation to the landowner, if there were such a person. Durani also spoke about the change in consciousness that has taken place in recent years, from the situation where the discussion about sovereignty was considered delusional and pointless “until Nadia and Yehudit became active on this subject and gradually brought it into the public discourse” and the situation where the discourse about sovereignty has become the Right’s key point of discourse. “The Left has lost its way and has become radicalized with the collapse of the Oslo Accords, so that today, the plans that are on the table are the Right’s plans, and the leading one among those plans is the plan for sovereignty. The recent meeting of the Likud Central Committee was an important, foundational event towards the application of sovereignty in Judea and Samaria”. In answer to interviewer Yoni Kempinski’s question, Durani emphasized the difference between the term “annexation”, which carries the implication of taking something that does not belong to you, and the term “application of sovereignty”, which is the correct expression regarding the conduct of a people in its promised Land. Kempinski also asked Durani to speak of how international relations will be affected by the process of applying sovereignty, and in his opinion Israeli resolve is the answer to how the world will fall in line. This is what happened, he reminds us, when sovereignty was applied in Jerusalem and the Golan Heights, as well as the bombing of the Iraqi nuclear plant. Durani also spoke of his discussions with leftists and journalists who identify with the left, who, he says, are aware of the Right’s practical victory, which no longer allows any possibility of dividing the country. He says that because of this situation, sovereignty is the practical, Zionist, correct and appropriate completion for these times, and this action will we brought about by the people and seep upwards to the leadership. “From what I know of the Prime Minister, when there is deep and serious pressure from below and the waves of enthusiasm intensify, it will become a tsunami and ultimately he will be with us”. The next speaker at the conference was economist Dr. Eran Bar Tal, the economic editor of Yisrael Hayom, who focused on the costs and benefits of applying sovereignty. He began by mentioning that the State of Israel is the proprietor of the land and that she is responsible for it. Therefore, the only thing that remains is “the legal matter of application of sovereignty, which is already ours in practice”. Bar Tal rejected the repeated claim that sovereignty in Judea and Samaria would lead to economic collapse. He stated that the application of sovereignty would improve Israel’s economic balance – not the contrary. “Additional residents do not represent a burden, but an asset”, he said, explaining why this is correct and how it will be possible to generate economic growth by providing work to the Arabs of Judea and Samaria, who are desperate for work, instead of employing foreign workers who are imported from distant places, to work in construction and agriculture. Bar Tal also related to the value of lands east of the Green Line in the area of the center of the country and the abnormal situation in which, for fifty years, Israel has not made these essential lands available for its use. “These lands are in areas of high demand where people will go to live, regardless of any ideology. This is the center of the country, there are lands and there is the infrastructure to expand communities and establish new communities. All that is needed is a courageous decision”. "Both fair-minded leftists and fair-minded rightists should agree that it is necessary to take responsibility. There is no reason to wait and no ethical justification to wait longer”, said Bar Tal, who views things with a historical point of view because ultimately, as it was in previous revolutions in history, things will happen as the result of circumstances and “economic considerations will prevail. Clearly, this is what must be done. We cannot starve the Arabs; we cannot not employ them and bring Chinese and Romanians to work in agriculture and construction instead. Economic logic will prevail”. Bar Tal also noted the dramatic change in public discourse and admitted that in the beginning, when he first met with Katsover and Matar a few years ago, to him and others on the Right that he spoke with at that time, these things seemed unfeasible and almost delusional. In contrast, now, not only to him, but also to people on the Left, it seems like “something that is going to happen”. Following a short musical break, MK Bezalel Smotrich explained his position on the practical implementation of sovereignty, with the main matter being how the state relates to the Arabs of Judea and Samaria after the application of sovereignty. During Smotrich’s speech, a small group of leftist activists tried to interrupt his speech with calls of “apartheid”, but the audience in the hall silenced the group in short order. Smotrich mentioned the historical perspective that in every case when Israel took responsibility, a new situation was created which was better for both sides, and it was the same in Gaza. “When we left Gaza, half of the country came under the threat of missiles and it brought about a very bad life for the Gazans as well”. Smotrich emphasized that in his opinion, there is no distinction between Areas A, B and C in Judea and Samaria, and that sovereignty must be applied over the entire territory. When you come from an ideological point of view, the Land of Israel is the Land of Israel and we will not barter even one centimeter of it, regardless of its name on the map”. These words were answered with applause. Smotrich also rejected the autonomy plan, noting that at one time, he even demonstrated against it when the late Prime Minister Rabin spoke about it and he wondered how this plan had been adopted by the Right. “There is not, and will not ever be any national Arab entity west of the Jordan”. On the question of “what to do about the Arabs”, Smotrich answered by mentioning the missives of Joshua Bin Nun to the residents of the Land – 'He who wishes to accept [Jewish sovereignty] will accept it; he who wishes to leave should leave and he who wants to fight, will fight'. “Joshua Bin Nun’s strategic basis is what was said to those who lived in the Land when we came to our Land and this is not subject to negotiation. This is reality and there is a stage when it must be internalized into our consciousness – there is not, nor will there ever be another national entity here. This resolve of consciousness is done not only militarily but by building communities, by applying sovereignty, by bringing another half million residents and creating a mindset where no reasonable person would ever think that the situation is reversible”. The situation of those who wish to accept our sovereignty, Smotrich is convinced, will be that they will have most of the values of a democratic and free country and it will be several times better than the Arabs have in all other Arab states in the region and certainly under the Palestinian Authority. Speaking about the right to vote, Smotrich clarified that he has no intention of allowing them such a vote since Israel is not obligated to allow the Arabs to accomplish through the Knesset that which they could not achieve by terror, meaning to undermine the Jewish character of Israel. Addressing the matter of voting for Knesset, Smotrich admits that his plan is not perfect because “the situation is not perfect” and the situation is such that “the question is: what am I going to do with this imperfection. Will it be at the expense of the Jewish component, meaning giving the right to vote, thereby harming the Jewish component, or at the expense of the existential component, in order not to appear as an apartheid state I will allow the establishment of a terror state that endangers Israel, or at the expense of democracy. I am not willing to endanger the Jewish component or the existential component, which means that there is a price for a certain imperfection in the democracy, but just because there is a flaw, does not mean that the state is not democratic”, he said, mentioning the democratic precedents with flaws, including under the Israeli Supreme Court, which does not change the definition of the state as democratic. Nevertheless, he noted that in the distant future, to the extent that they abandon their national aspirations, they will be allowed the right to vote. Later, he mentioned the plan to encourage voluntary emigration for those who are interested in leaving and the third option, for those who wish to fight, “we do not like it but we are also not afraid to fight. A fight will mean total defeat for them. This part is moot because it will be enacted against the fringe that do not choose more logical options”. The heads of the Sovereignty Movement, Yehudit Katsover and Nadia Matar, note the successful evening and the great interest that has been created around Sovereignty as a success of the campaign toward a political-diplomatic-Zionist discourse in Israel; the discourse has turned from the discourse of retreat to the discourse of sovereignty. The two women noted that after the end of the event, many of the participants asked to join the activities and support in various capacities, including organizing similar meetings in the future. The two women said that they hoped there would be greater attendance from the younger generation, and they intend to direct their appeals more to the young. “The vision of sovereignty is important to everybody to whom the future of the State of Israel and the Jewish people is important. This subject crosses lines of age and we intend to direct this vision to all sectors of Israeli society. The discourse of sovereignty will continue and seep upwards from the people to the leadership and this is what will cause it to become a reality”.